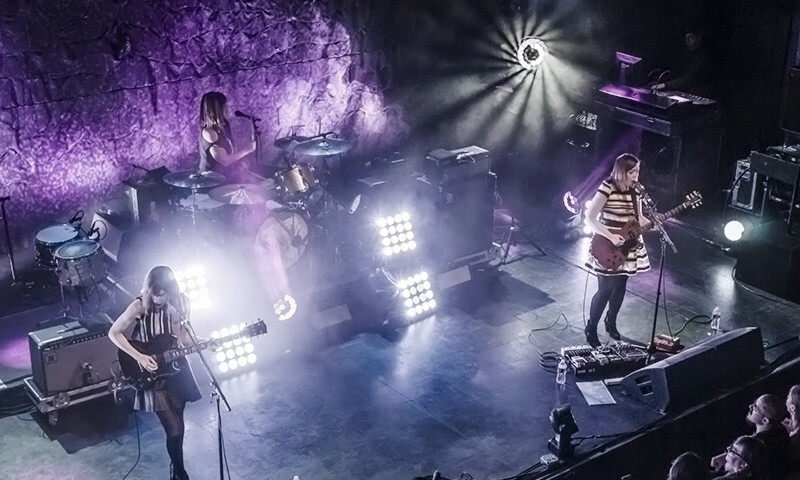 For weeks, all forms of communication in the SLC music grapevine have chattered away about the most anticipated show of the year: Sleater-Kinney playing The Depot. My introduction to the legendary Riot grrrl group came from the short lived SLC band Modern Girl—as they had derived their name and philosophy from this obvious influence. I dug deeper into the roots of Modern Girl’s initial inspiration and quickly gained a keen interest. Fast-forward two years, and tonight this interest has turned into a fevered excitement that threatens to overwhelm my attempt to calmly catch the bus to the gig. It is all I can do to not bolt down my street exhibiting sheer excitement. However, I do have one concern regarding the expectations surrounding the show—whether it can live up to the hype of an army of devoted fans, or if it will fall dramatically short and bust. Lizzo starts off the night with the Hype Grrrl DJ Sophia Eris providing a digital education of Riot grrrl hits that includes La Tigre and The Runaways’ “Cherry Bomb.” Eris doesn’t play whole tracks—just enough to get you interested. After a few minutes of warming up, she switches to the “Imperial March” to introduce Lizzo as she takes the stage much to the excitement of the audience. She delivers a solid array of alternative hip-hop numbers, including “Faded” and “Paris.” Though it doesn’t quite grip me, my feeling on the matter is in the minority as the crowd clearly digs it. Lizzo takes time to address her audience on the importance of social causes like Feminism and Police Brutality. During these brief addresses, the audience applauds and cheers, displaying that they are clearly on board with the hot button topics. It’s cool to see social awareness promoted through music, as it seems to be a thing that is unfortunately not done often enough. Lizzo’s last number gets the crowd to go wild and jive about. Her performance is met with the clear appreciation of the crowd and I would not be surprised if she gained some new fans. Luckily, the wait between sets is short, and when the lights dim, the audience erupts into cheers to welcome Sleater-Kinney onto the stage. Before them is a captivated crowd that has eagerly waited months to witness the anticipated return of the Riot grrrl icons and believe me, they got what they paid for. 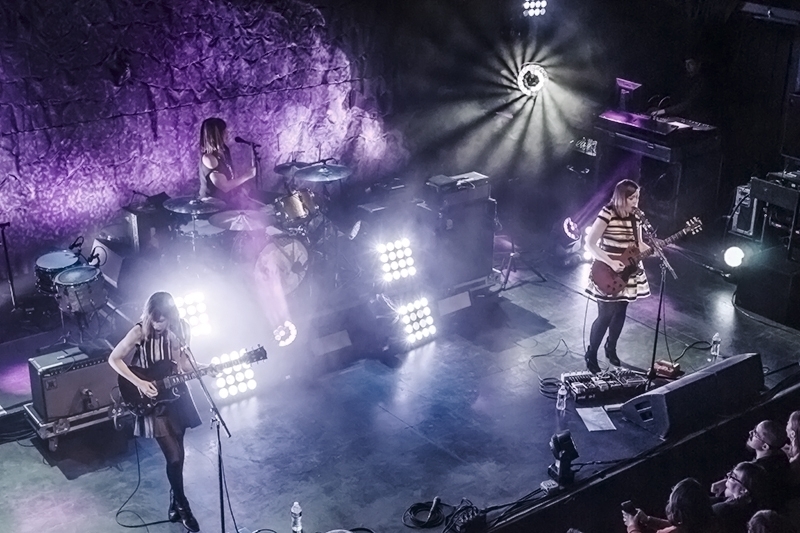 Sleater-Kinney appear with a cool charismatic energy and, with a flawless intensity, knocks out numbers like “Price Tag” and “Fangless” to the ecstatic mass of jiving bodies. The difference between the back area of the venue, where I am, and that of the dance floor is notable as electrifying energy put off by the crowd gyrating about exhibits a raw feel that those in the back can only taste rather than experience in full. Though, the feeling itself is almost intoxicating. The conclusion brings on an eruption of applause that echoes throughout the room. I’m sure that if Sleater Kinney so desired, they could have continued on with their dazzling performance and nobody would have minded in the least. This was a solid gig that exceeded all expectations, and that’s a first. Check out M.A.BARATTA’s gallery for this excellent show!